I wash my hair every other day and I know personally by the second day it's droopy and starts to feel dirty, so I would often wear my hair up and out the way. I don't know if you are the same? I had heard about dry shampoo for a while but had never actually used it before, so as I was Xmas shopping I came across a small bottle in Topshop and thought I would give it a go. I have never looked back since.. It is such a life saver! It takes out the oiliness in my hair and leave it feeling refreshed and looks relatively clean. 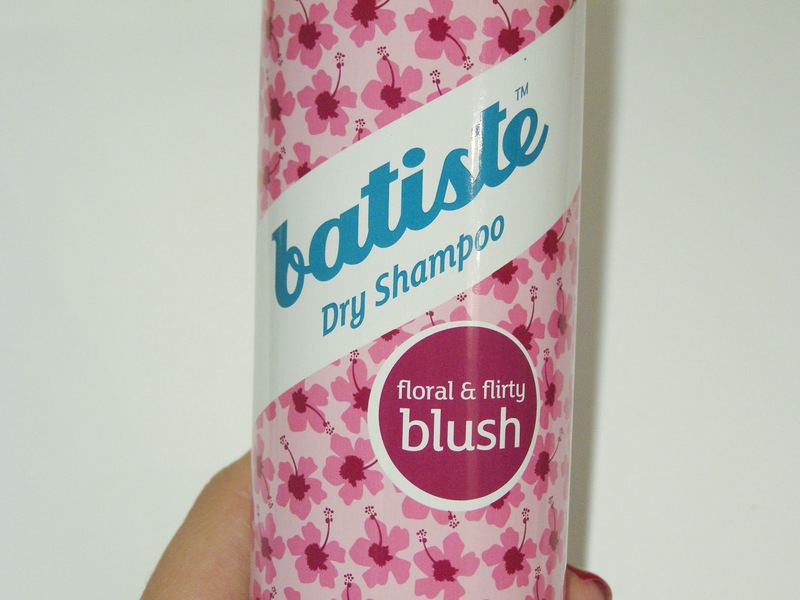 I bought this dry shampoo from Tesco and I must say it is just as good as the Topshop one I bought at Christmas. I love the pink bottle (partly why i bought it) It even has a nice perfume scent to it which is quite nice. 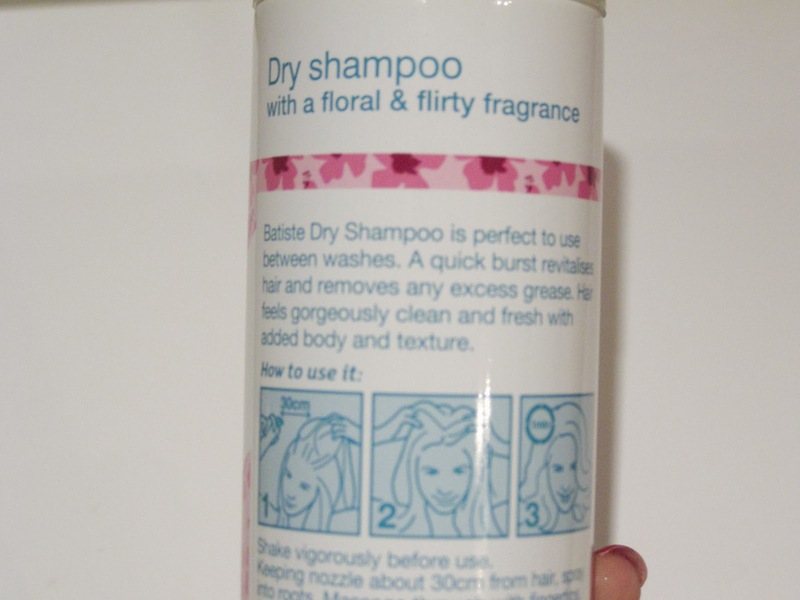 It even had instructions on the back of the bottle to advise you on how to apply the Dry Shampoo. When I apply my Dry shampoo I try and get it even so, I part my hair into sections and spray each section in turn. This way I don't leave any parts out. I then rub this into my hair otherwise you get left with funny white marks. You are then done and ready to face the world. Have you tried dry shampoo? If so which ones have you tried? 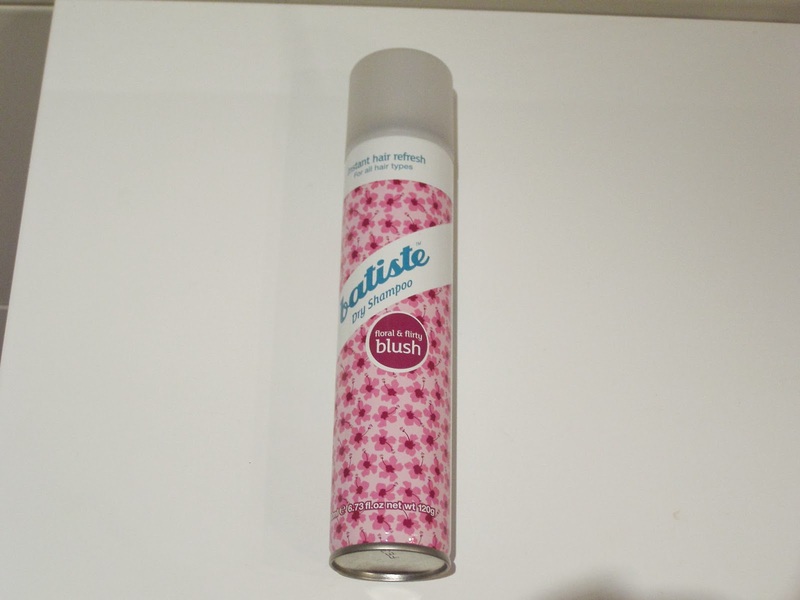 I couldn't cope without Batiste. I've been using the XXL VOlume one at the minute and it's just amazing, great for my flat hair! Love this, I also wash my hair every other day and use this inbetween. Nope you're definitely not alone! ;) I also have one, from Garnier I think. Also tried one of Schwarzkopf but I didn't like that one at all.